Posts tagged "yacht charter Bahamas"
Newly built Benetti motor yacht CHECKMATE, fresh from her inaugural stint in the summer 2013 Mediterranean yacht charter market, has arrived in Fort Lauderdale, in preparation for the upcoming winter season. 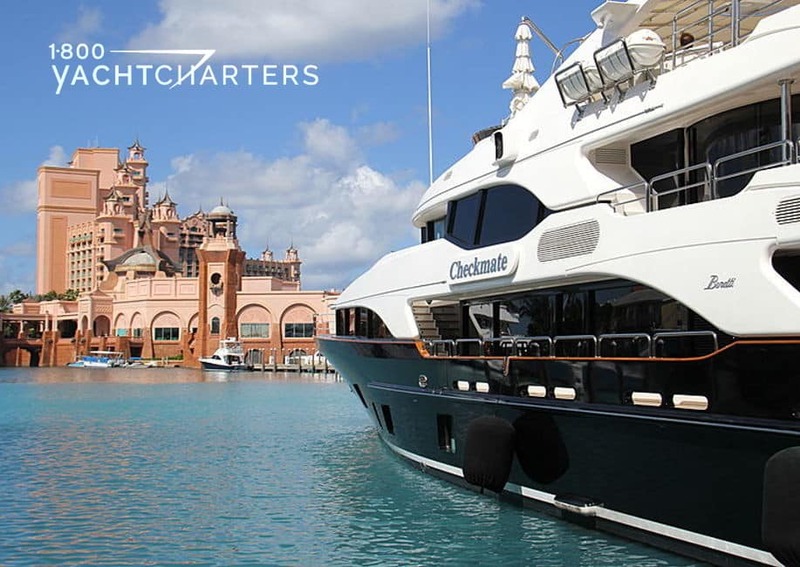 Unlike similar-sized yachts that relocate to the Caribbean to offer Virgin Island yacht charter vacations, M/Y CHECKMATE will be based in Nassau and seek Bahamas yacht charter bookings through May, 2014. Launched earlier this year in Italy, she is the 15th vessel built in the fabled shipyard’s Vision series of semi-custom yachts. 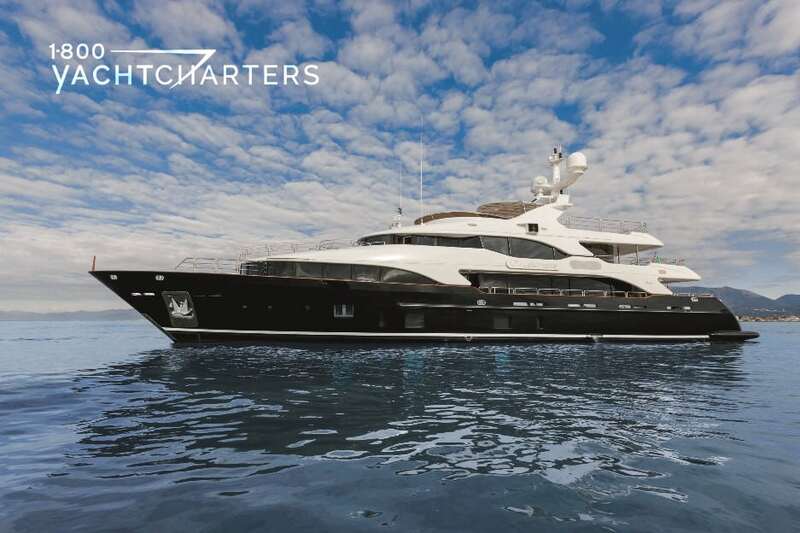 The Benetti Vision 145 yacht CHECKMATE now joins the many Benetti yacht charter vessels currently in service, such as motor yacht MINE GAMES, and James Bond yacht, DIAMONDS ARE FOREVER . Five guest staterooms are available onboard, including a master cabin on the main deck, featuring a King bed, and ensuite baths featuring his and hers bathrooms. Below deck are four spacious cabins with accommodations for 8 additional passengers, plus two Pullman berths, suitable for small children. The 45 meter yacht made her public American debut at the 2013 Fort Lauderdale International Boat Show, with newly-appointed Captain Phillip Nash onboard for the winter season. At the conclusion of the show, the Italian superyacht repositioned to the Bahamas. 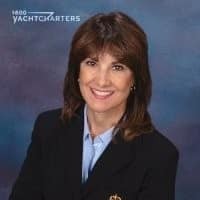 Her owner then plans to send her north, next summer, to participate in the New England Martha’s Vineyard yacht charter market. Weekly rates begin at $200,000 per week, plus all expenses. 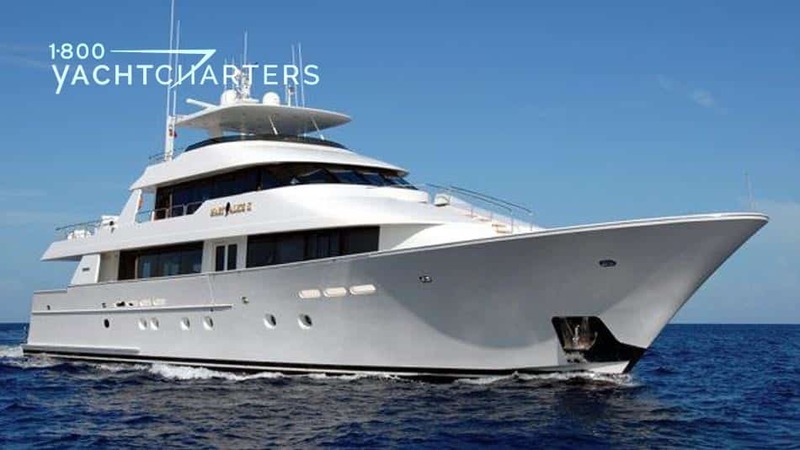 To charter your own Benetti motoryacht for an incredible vacation, contact 1-800 Yacht Charters today. We just had a remarkable time on catamaran SURPRISE for three weeks…! 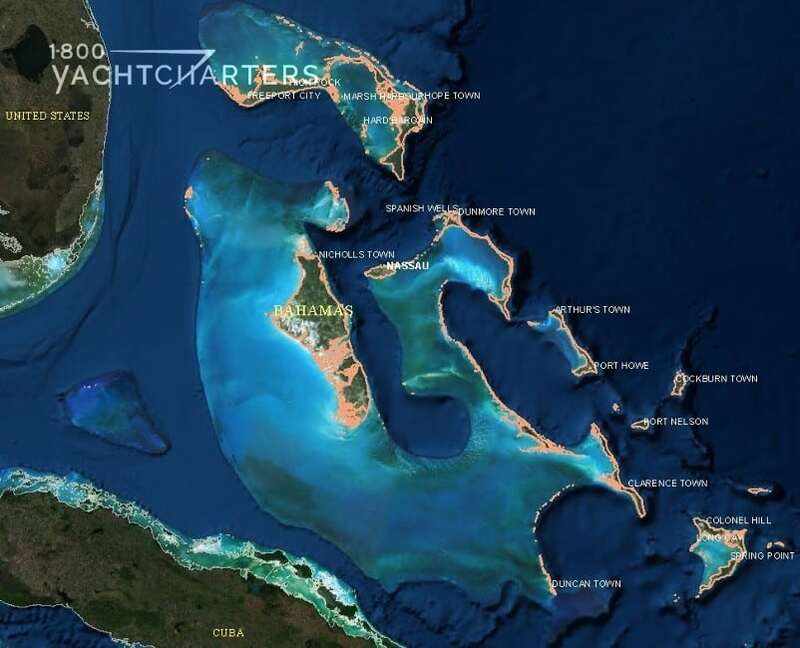 Crossing the Gulf Stream, going to the ‘Stranded Naked Party’ and then winning three races at Regatta-Time-in-Abaco. Amazing! 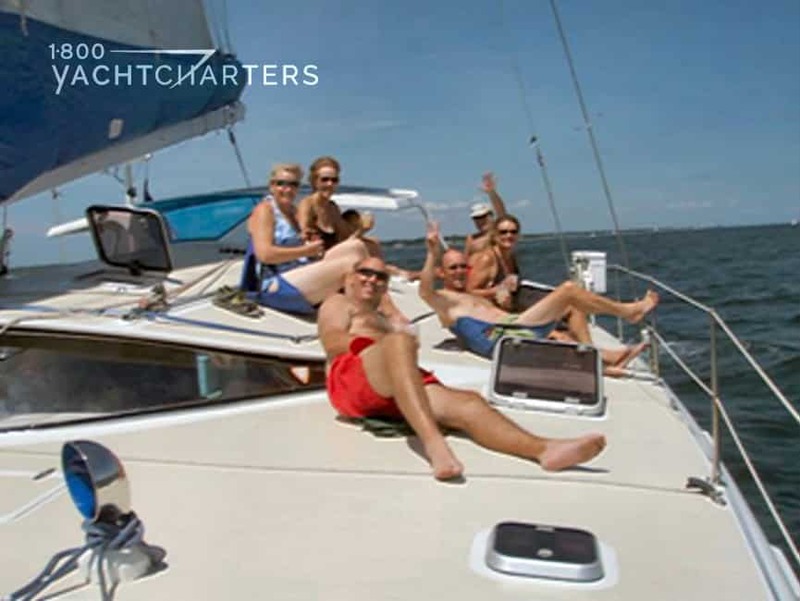 High adventure, good fishing, idyllic ports-of-call, delicious food, superb hosts, and a gorgeous yacht – a total escape into the unique joys of the crewed catamaran charters cruising life! Thank You. 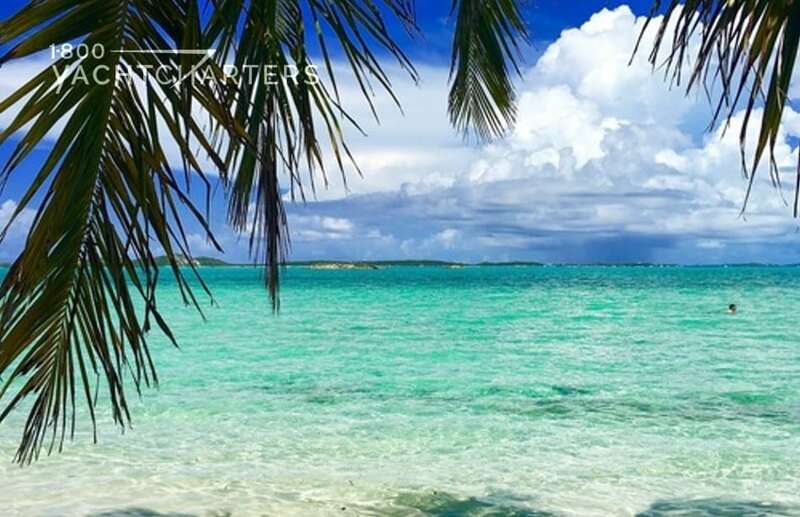 Rates are all inclusive with standard ships bar, and good for Bahamas or South Florida charters. Children 10 and under sail free, limit 2 per charter! Come explore the Florida Keys, the Everglades, the Dry Tortugas, or the Bahamas aboard sail catamaran SURPRISE. 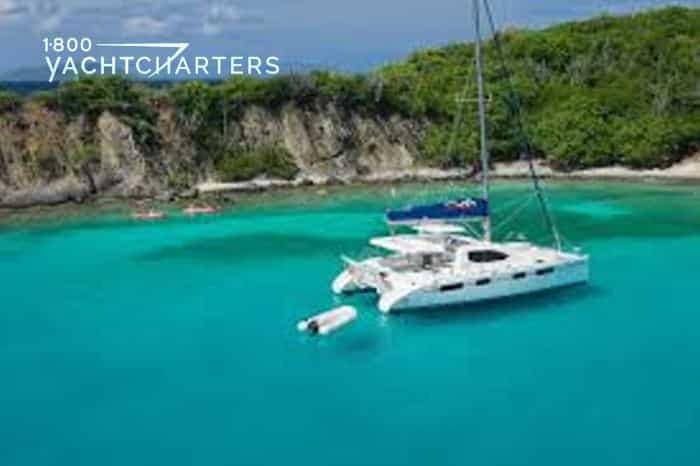 Contact our destination experts at https://www.1800yachtcharters.com/book-now-contact-us/ to reserve your private luxury yacht. Should we believe the reports? If so, there’s trouble in Paradis for Captain Jack Sparrow. People Magazine reports Hollywood A-lister Johnny Depp is in hot water. He and his love of 14 years, singer Vanessa Paradis, are calling it quits. According to People, Depp, 48, and the Chanel model, 39, have not been in public together for more than a year. To the movie-going public, Depp is a star. He is best known for his role as Captain Jack Sparrow. The pirate is the central protagonist of the Pirates of the Caribbean film franchise. In the yachting industry, the actor is more familiar. 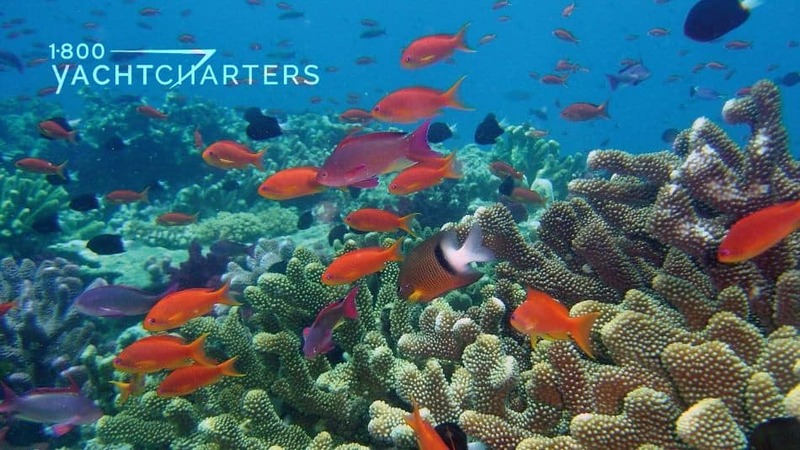 For instance, he is the celebrity owner of a charteryacht often cruising the Bahamas. This week’s office water-cooler question: will the split lead Depp to rename his Bahama yacht charters motor yacht, VaJoLiRoJa? The boat’s clever name comes from combining the first few letters of each family member’s name, partner Vanessa Paradis, Johnny, and their kids, Lily-Rose and Jack. If Johnny drops Vanessa, can we assume the multi-syllabic boat name will shed its current first syllable – leaving us with JoLiRoJa? 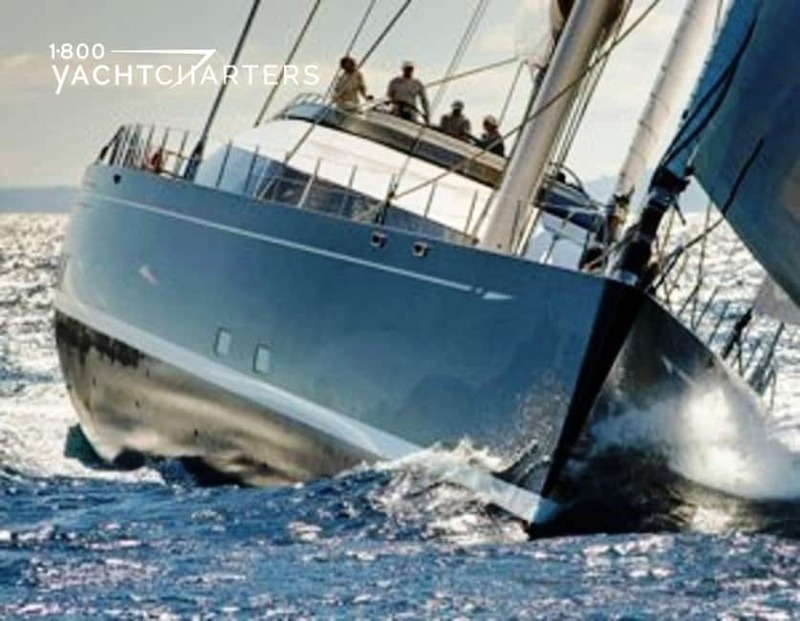 We kind of like that – if you say it fast enough it sounds like, “Jolly Roger” — a perfect name for this 156 foot yacht of distinctive character. Perhaps the best name for the yacht is RANSOM, as in Depp’s reported $300 gross profit sharing booty from Disney’s Pirates movie franchise. HOW DO I RENT A YACHT? 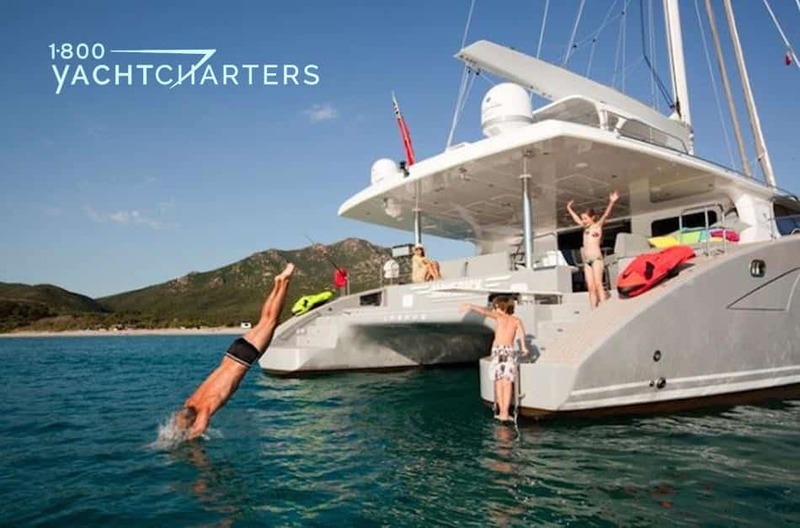 View our favorite celebrity-owned mega yacht charter vessels, then contact 1-800 Yacht Charters at https://www.1800yachtcharters.com/book-now-contact-us/ to plan your own adventure at sea.